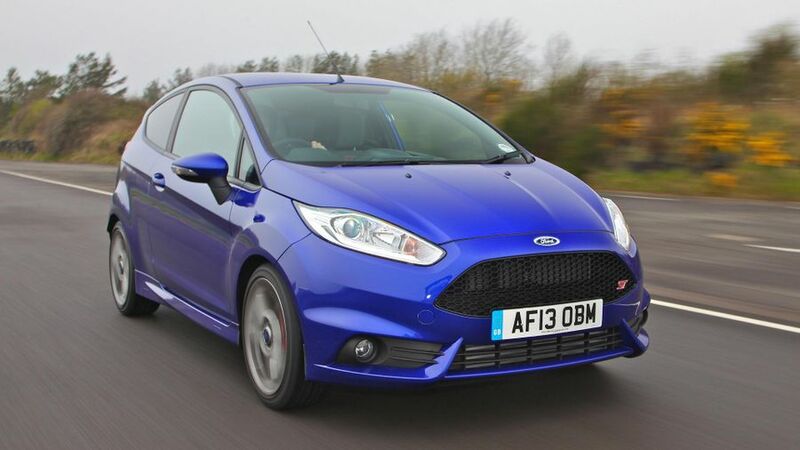 The Ford Fiesta ST looks the part, it’s fantastic fun to drive and it’s available for a bargain pricetag. That’s pretty much everything you could ask from a good hot hatch. Simply brilliant. 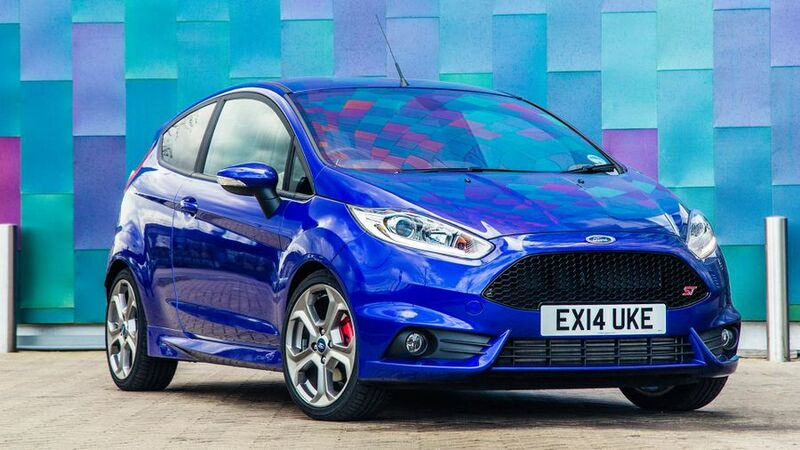 Interested in buying a Ford Fiesta? 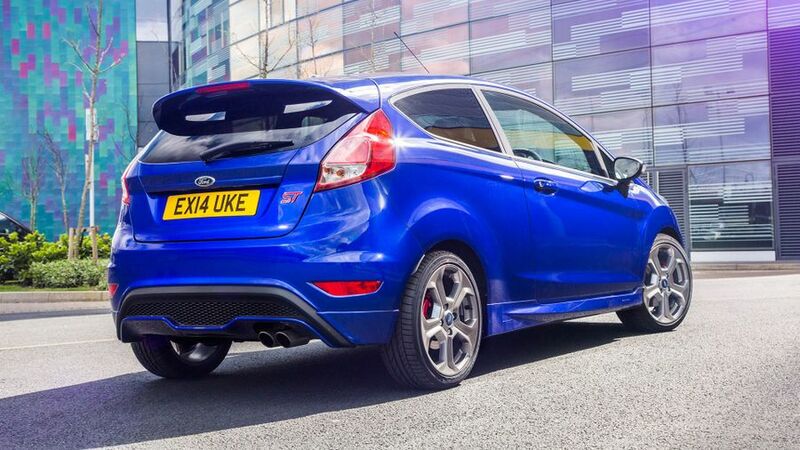 A good hot hatch needs to look the part, and the ST most certainly does. The sleekness of the three-door body is enhanced by beefy-looking bumpers and a sporty honeycomb grille at the front, and a big spoiler and diffuser featuring twin exhausts at the back. An option pack adds a grey tint to your alloy wheels and red brake calipers. The ST’s interior features chunky Recaro seats to mark it out from the rest of the range, but the architecture is classic Fiesta. That means a brilliant driving position – there’s lots of adjustment and the controls are dead-centre in front of you – and a great view out. It’s not perfect, though. The infotainment system can be a little fiddly at times, and while the interior looks generally smart inside, some rather cheap-feeling panels mean it doesn’t feel as classy as some rivals. Being a Fiesta, the ST is one of the roomier cars in the class. There’s enough head and legroom for four adults to sit in comfort on long journeys, even if the three-door-only bodystyle means that a bit of contortionism is required for getting into the back. The boot is a good size, too, but the basic way in which the rear seats fold down means it can’t match the best for outright practicality. This is where the ST really excels. The strong grip and tight body control allow the car to zip from corner to corner with real accuracy, while the natural balance of the chassis makes the ST feel even more nimble. The steering is a joy, too, because it’s responsive, quick, nicely weighted and gives you plenty of feedback about the surface beneath you. 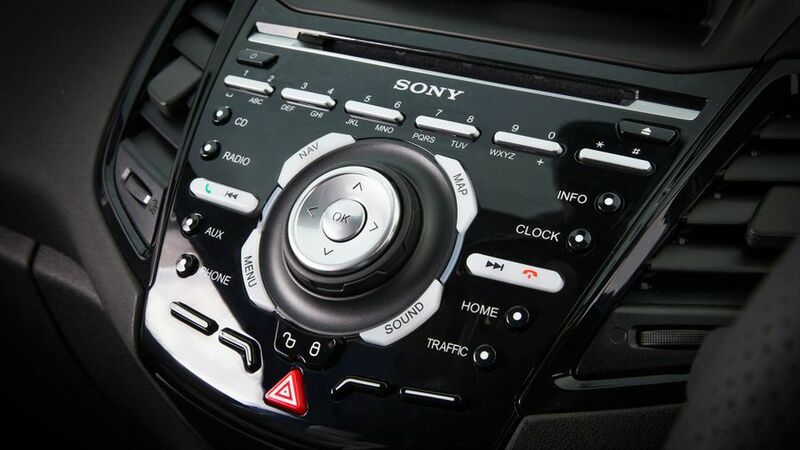 In fact, there’s a pleasing immediacy to all the controls, which gives the ST even more precision. Granted, the downside of all this handling ability is a rather firm ride, especially when you’re trudging along at low speeds. For many hot hatch fans, though, that’s something that will enhance the whole experience, rather than ruin it. The ST’s 1.6-litre turbocharged engine has 180bhp, which isn’t as much as you get in rivals like the Peugeot 208 GTI and Renaultsport Clio. The thing is, the engine delivers its punch so early in the rev range that it always feels ready to pick up and go, and this really encourages you to play. Work the engine to its limits, and you’ll scamper from 0-62mph in an impressive 6.9 seconds. That’ll be plenty fast enough for most hot hatch fans. 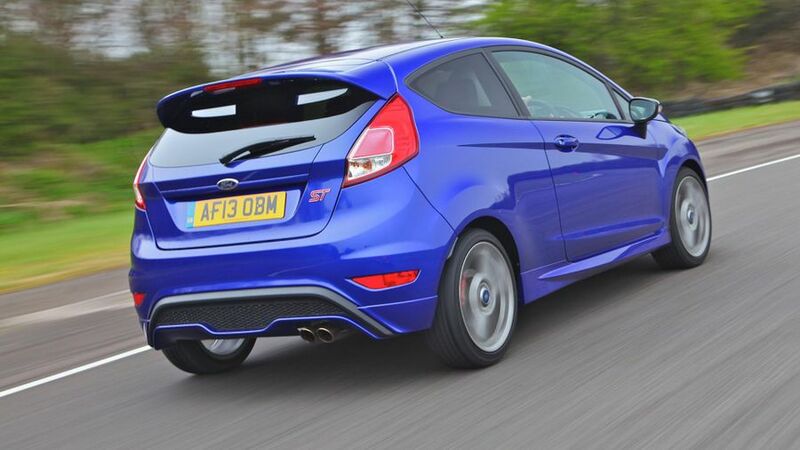 What’s more, the ST’s bassy exhaust note sounds properly naughty. This is where Ford has really stolen a march on its rivals. The ST costs much less than its rivals from Peugeot and Renault, and the gap is thousands rather than hundreds. It’s a real bargain. The Fiesta is competitive with its rivals on resale values, too, which means it should be affordable long-term. The ST’s fuel economy of 47.9mpg is bang-on with the Peugeot’s and slightly better than the Renault’s, too. Ford’s reputation for reliability has been merely so-so over the years, but company is currently doing pretty well in Warranty Direct’s manufacturer rankings. The Fiesta is something of a star performer for the brand, too, being the only Ford that features in Warranty Direct’s top 10 most reliable cars. 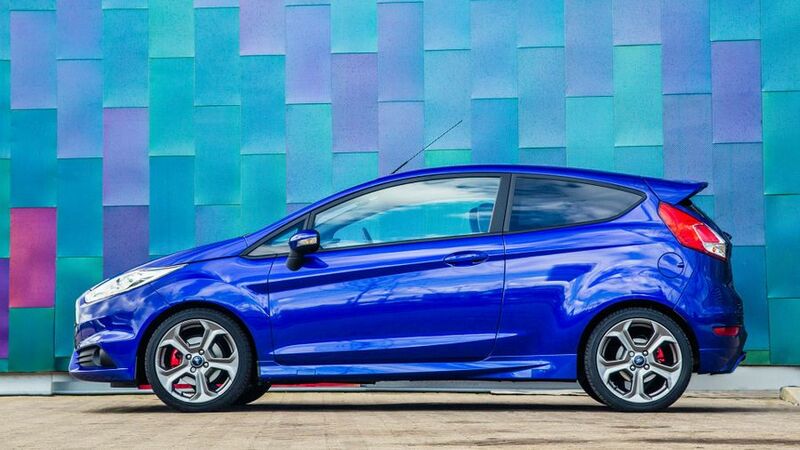 Like every Fiesta, the ST has seven airbags to keep you from harm in a smash. However, the ST also has a sophisticated torque-vectoring system that helps keep you on the straight and narrow when you’re driving it hard, as well as a three-stage stability control system. The Fiesta range has already achieved the full five-star rating in Euro NCAP crash tests. The base-level version of the ST gets reasonably generous standard equipment including air-con, Bluetooth and a DAB radio. Upgrading to ST2 trim is pricey, but you do get a lot of desirable stuff for your money, including heated part-leather seats, keyless start, privacy glass and a posh-looking Sony stereo that gives the cabin a real lift.